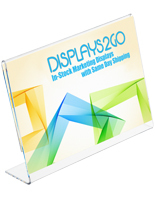 This Picture Frame is Made of Durable Plastic and is Ready for Immediate Shipment! 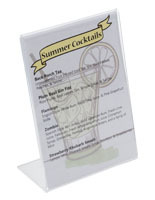 Wholesale Orders Welcome! 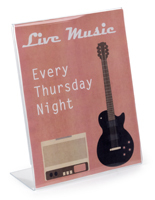 Shop Online for 1000's of Photo Frames! 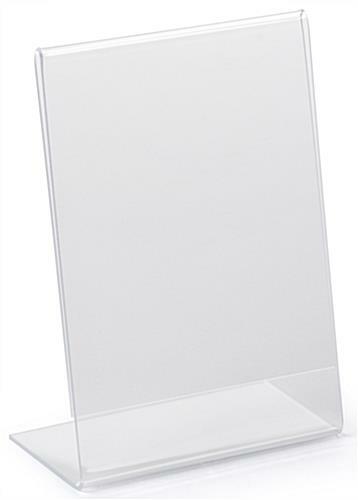 3.5" x 2" 4" x 5" 4" x 6"
5.5" x 8.5" 8" x 10" 8.5" x 11"
Picture Frame Made of Plastic, 5" x 7"
This plastic picture frame is both affordable yet rugged. 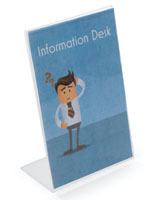 It will make an ideal display for any material you can think of: pictures, menus, announcements, and more! 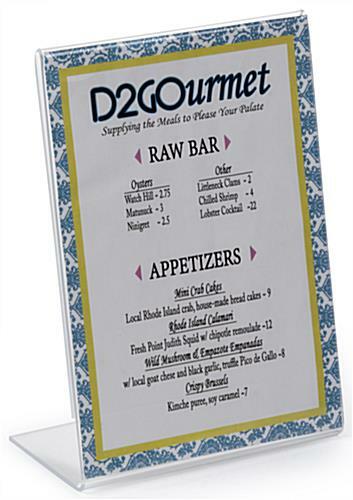 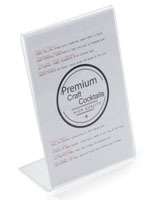 This picture frame is great as a restaurant sign holder or as a desktop display! 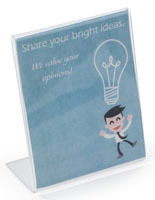 Custom display ideas are welcome! 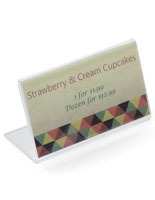 Total display unit dimensions: 5" w x 7" h. This cheap picture frame is easy loading, merely slide paper in the back and sides for fast changes. 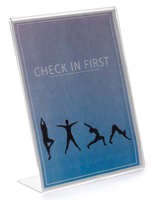 We also extend an upscale 5" x 7" frame made with thicker 1/10" acrylic and has polished edges (see ASH57 under related products).